During the 1930s an attractive range of cards was produced for Scandinavian countries. 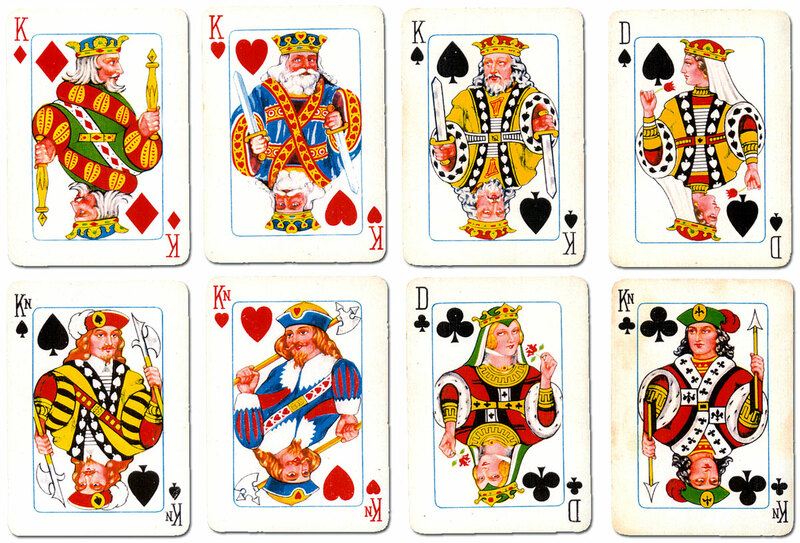 The designs reflected local patterns and were printed with Scandinavian indices: K, D, Kn for the court cards and Es or A for the Aces. The packs were commissioned by local chain stores, stationers, or as advertising products. 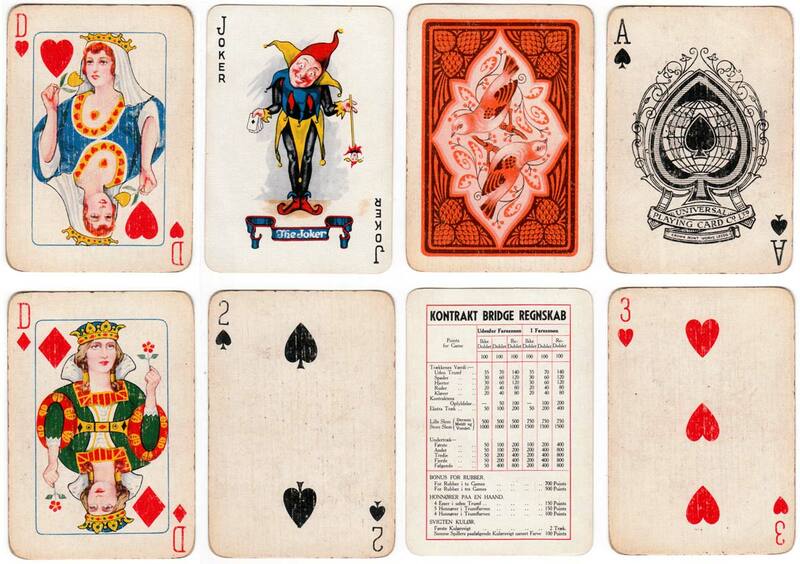 Above: eight cards from Universe No.100 playing cards manufactured by The Universal Playing Card Co. Ltd, Leeds, c.1933. This particular pack was used as advertising for Danish photographic company Ilford Selo S/A in 1933. 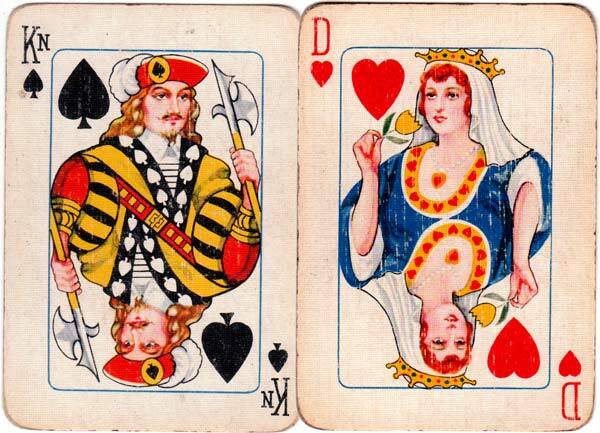 Above: Universe No.100 playing cards manufactured by The Universal Playing Card Co. Ltd, Leeds, c.1933, for Norway. The designs are similar to those of the 'Romanian' pack by the same manufacturer, possibly by the same designer. Images courtesy Rex Pitts.